Fishing is open virtually year round in Salmon River Country. Rainbow, Cutthroat, Brook and Steelhead Trout are the most plentiful species found in nearby lakes and streams, although many other species are also found. 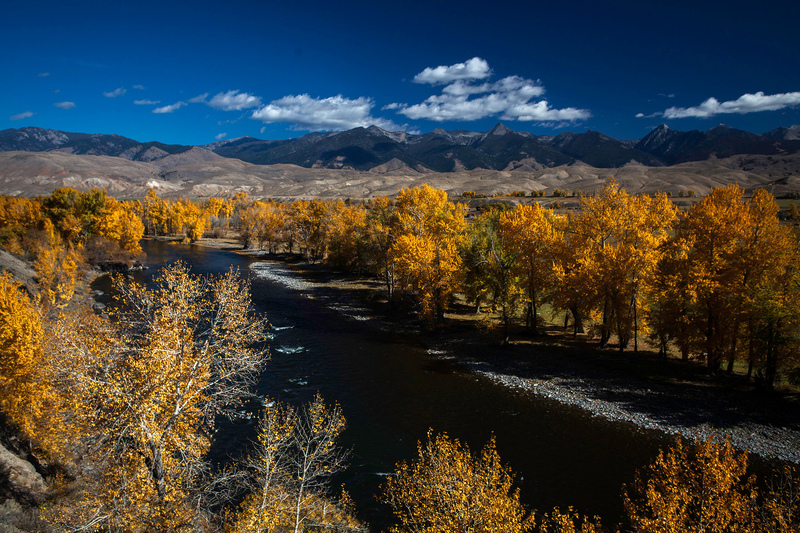 "Idaho is the only inland western state with ocean-run salmon and steelhead, and when conditions are right, the hatchery part of these runs provide an exciting fishing experience. State records are 54 pounds for salmon and 30 pounds, 2 ounces for steelhead" (IDFG). Current fishing regulations may be obtained from the Idaho Department of Fish & Game. To see what anadramous (sea-going) fish are making their way upriver in real time, go to the fish passage window at the Bonneville Dam Fish Ladder. Guided fishing trips are available, even same-day trips! 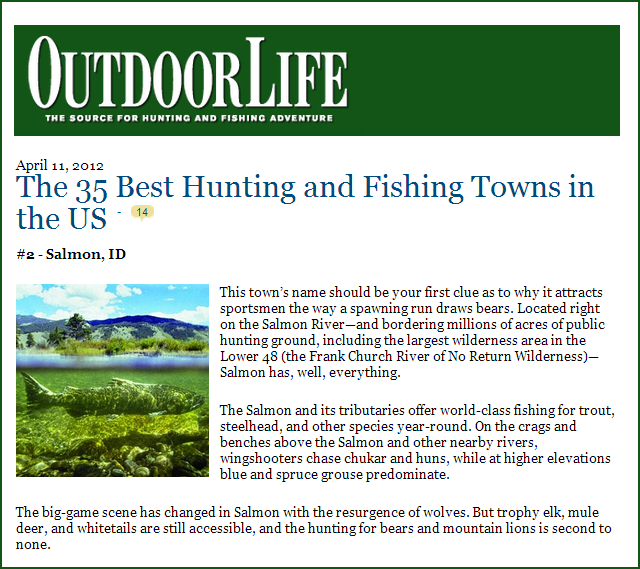 Featured in OutdoorLife as #2 Hunting & Fishing town in US!